The show in Kansas City, MO on 7/12 was originally planned to be part of the pre-sale tomorrow morning, but that has changed. 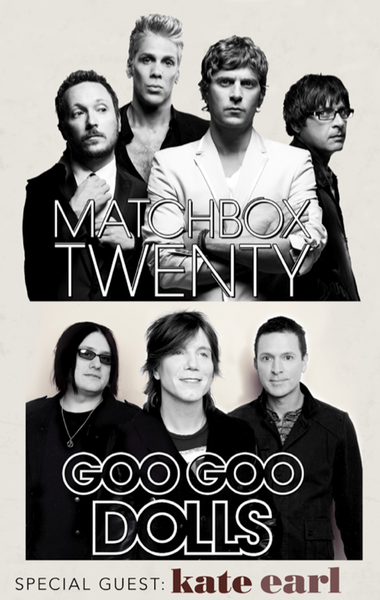 The pre-sale for Matchbox Twenty's show in Kansas City, MO On 7/12 will now take place this Wednesday April 3rd at 10am local venue time. No code is needed to participate in the pre-sale! All you need to do is login to your Fanclub Account and buy your tickets from the events page. Our apologies for the confusion & thanks for understanding.